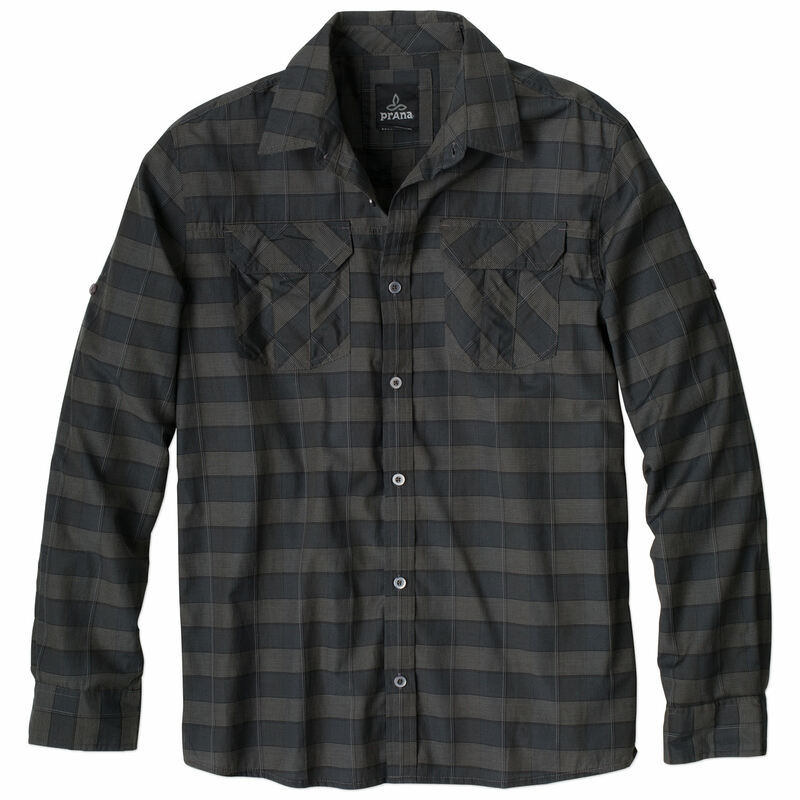 Equip yourself for exploration in the travel friendly prAna Terrain woven shirt. A lightweight organic cotton blend is wrinkle resistant and UPF rated for sun protection, essential if you''re headed into tropical latitudes. No fuss velcro front pockets allow for quick in-and-out access while still keeping valuables secure, and roll up sleeves actually stay up thanks to a tab closure. Fair Trade Certification supports better working conditions for the factory workers who make it, through investment of a premium of each item sold into social development projects.